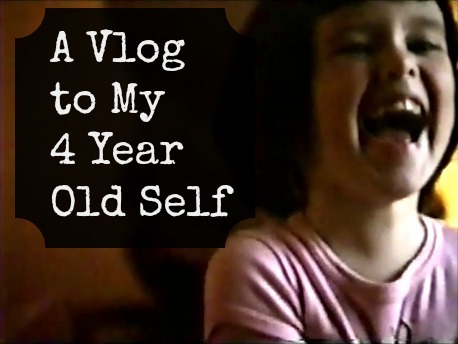 I dug into the home movie archives to bring you a conversation with my 4 year old self. Seems I actually started vlogging in 1985. So of course the quality will be questionable, but it is still entertaining. Also, volume is a bit quiet throughout the entire video. I make some observations and ask Little Darcy a couple questions about vlogging. She's super excited to be here with all of you, but is hard to keep on point. There is also some fun commentary from my dad explaining the awesome features and functions of our new video camera to my uncle. In 1985, video cameras were HUGE, expensive, and having one was a bit… progressive. We have a lot of footage of people avoiding the camera. That's not in this video though because Little Darcy LOVED being recorded! Do you remember when your family first got a video camera? lol my first video camera in the 90’s took a whole VHS tape too! Little Darcy has a mind of her own lol 🙂 She/you remind me of my girl..she wouldn’t want to walk around while I test the camera either.